Wet shaving is experiencing a renaissance of sorts. If you’re not one of the guys jumping on the beard bandwagon, you’re likely shaving. Have you thought of trying wet shaving? Do you know what it is? Think of the type of shaving you see men getting at barbershops in movies or TV shows. The kind where the barber uses the big brush to lather on foam, then uses a straight razor to artfully make the facial hair disappear. Wet shaving isn’t something just meant for barbershops and special occasions. It can be done right at home! All you need are a few tools of the trade and a little advice to help get you started. This helpful infographic from Reddit user Wicked_Edge will get you started. It goes through the products you need, as well as the benefits of wet shaving. Do your face a favor and try it out! Who doesn’t love to relax on the couch with a snack, and watch a good movie? Some of us who are very fashion conscious will pay close attention to the sartorial choices of the characters in the movie. We may even pick up some inspiration from their outfits. What are some good movies that showcase great style? Well let’s find out! This is a classic! If you have yet to see this Audrey Hepburn flick, what are you doing reading this? Young girls today still love to quote and dress up as Hepburn’s character from the movie. And those sunglasses, who could forget? 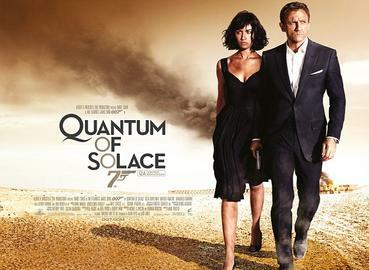 This Bond flick stars the newest Bond actor, Daniel Craig. It seems that he can make any suit look good. This is a film for guys obsessed with suits, and action. This is a great movie for guys and girls alike. It’s witty, and Meryl Streep is always a great actress to watch. The film is all about the fashion industry, so you are sure to see some fashion-forward looks.